Our first bout of the 2016 will take place in Yuma, Arizona, hosted by Border City Roller Girls! 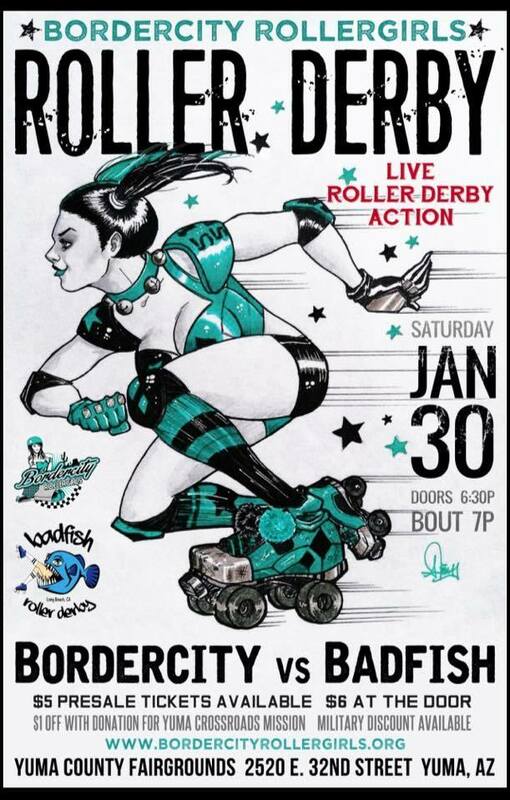 Yuma’s very own BCRG face off against Long Beach’s BadFish Saturday, January 30 at the Yuma County Fairgrounds! Presale tickets for $5 are available. 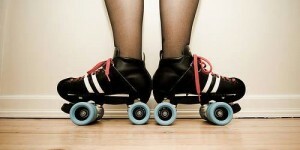 $1 off general admission if you bring a donation for Crossroads Mission. 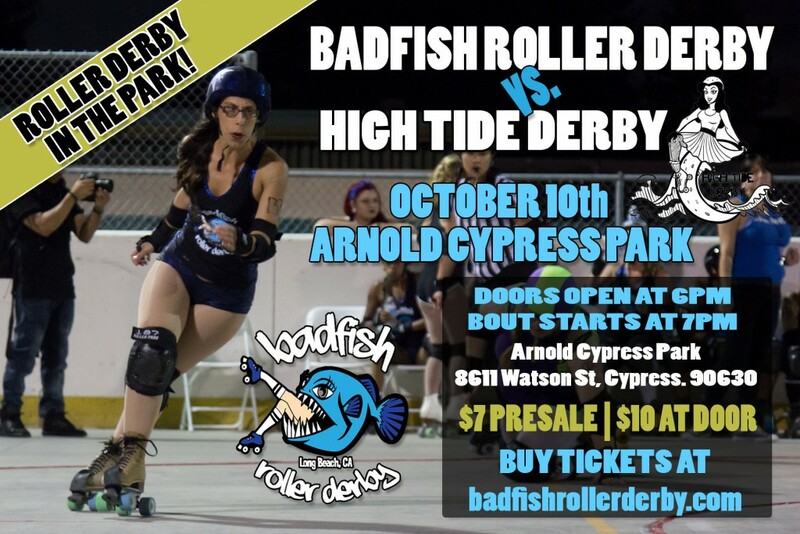 Doors open at 6:30 pm and the game starts at 7:00 pm. 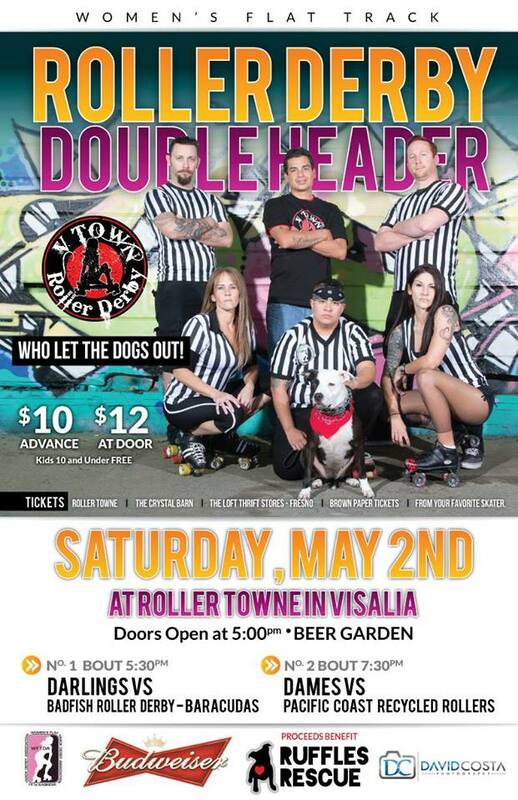 There will be vendors with food and goodies and a beer garden for those 21 and older. Wish us luck and stay tuned to our Facebook page for photos and results! 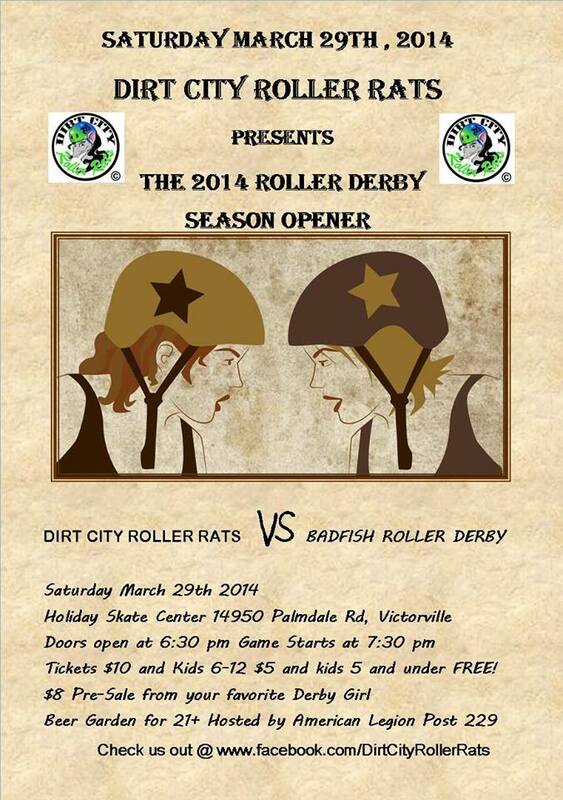 The Mojave RattleSkaters are going up against the ladies of Badfish Roller Derby in Yucca Valley! Doors open at 5:30pm and first whistle at 6:30pm. $8 in advanced or with military ID, $10 at the door. 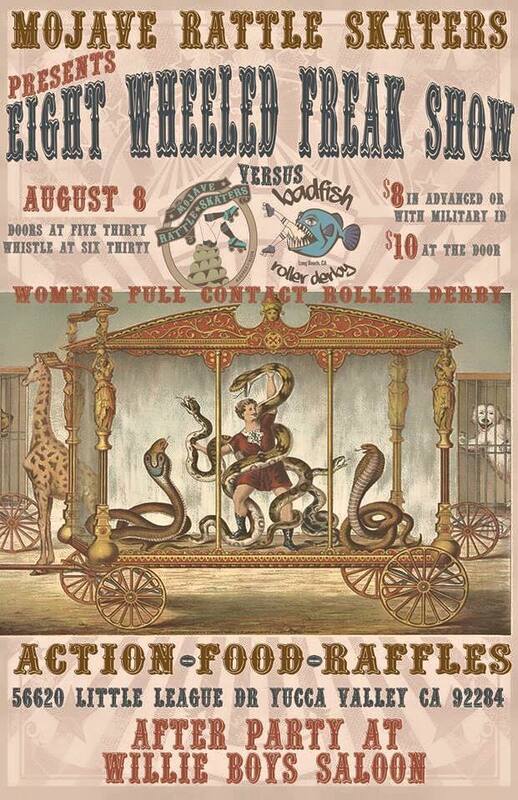 Badfish Roller Derby heads out to Visalia to battle the V Town Roller Dames. All the information can be found in the flyer above and location information is below! Hope you can make the trip out with us and show your support.